Ray - Supportive housing makes everything possible. Ray is a 40 year old man who first found his way to Central Arizona Shelter Services (CASS) in 2008. He had a long history of drug and alcohol dependency and was diagnosed with a mental health disorder. When Ray arrived at CASS, the case managers connected Ray with the Community Bridges Blueprints Outpatient Treatment Program, as well as mental health services. When Ray completed the Blueprints Program, he was referred to Steele Commons, an Arizona Housing, Inc. supportive housing community. He moved into his own apartment while continuing to receive wrap-around supportive services. During this time, he completed Goodwill Industries’ six month supportive employment program and was then hired part-time as a peer support specialist at the Marc Center, a social service provider. Ray was promoted to a full-time Peer Support Specialist and became one of Marc Center's most reliable employees. He loves “coaching” and providing emotional support to mental health clients at the Center. Ray took an important step towards independence when he moved into his own apartment. Steele Commons was critical in developing his ability to deal with his substance abuse and mental health issues. It was the stage in his life where he began to feel stable enough to maintain sobriety and to maintain employment even in the face of doubt and insecurity. Since that time he spread his wings and also works at Native American Connections as a Senior Peer Support Specialist. He continues to seek new ways to help others and develop his skills. "During this time, Ray an adopted child, was contacted by his biological family. It turns out he is one of seven siblings living in the U.S. and Germany. A family reunification culminated with a trip to Germany to meet his mother." David - Building trust opens the doors to success. For 25 years, David was without a home, staying with friends, but most often sleeping on the streets. During this time, childhood mental health issues became more severe and exacerbated his homeless status and stability. A few years ago, David began to realize the impact his lifestyle was having on his future. He felt unsafe and most importantly, he wanted his life to have purpose and meaning. He wasn't sure how to move forward, and asking for help had always been an uncomfortable situation. David finally came to Central Arizona Shelter Services (CASS). Like all CASS clients, he worked with a case manager to develop a plan to stabilize his situation and move his life forward. Although he started receiving support for his mental health issues, it wasn't enough to end his homelessness. 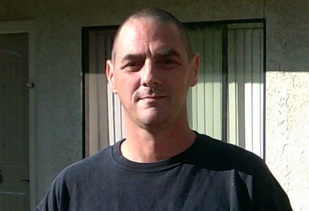 CASS referred David to Collins Court, an Arizona Housing Inc. supportive housing community. Once in housing, AHI Residential Service Coordinators helped David with an individualized level of support to empower him to make good decisions and find success. Often, people who experience homelessness for a long period of time are in survival mode and feel that the system works against them. Providing people like David with a place to live, with no strings attached, creates trust and allows them to break down barriers and work on the issues that caused their homelessness. Today, David is living at in a modern apartment and works at a nearby furniture store. He is happy, has built a strong support system with residential service coordinators and other residents. David continues to see his therapist and recognizes the relationship is critical in giving his life purpose and keeping him stable. Importantly, David no longer fears for what tomorrow may bring. Larry - Dignity and self-respect are critical to success. "When 40 year-old David moved into his new apartment at Collins Court a few weeks ago, he cried. Sadly he couldn't remember the last time he cried, nor could he remember the last time he had good luck." Larry spent years caring for his ailing mother until his health began to fail as well. Larry fell into a deep depression which led to alcohol abuse. He lost touch with his family and began drifting in and out of homelessness. 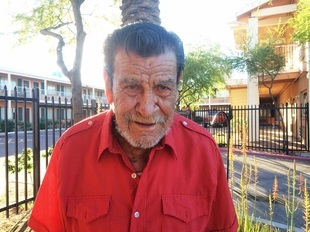 During this time he would periodically stay at Central Arizona Shelter Services (CASS) and eventually joined their Veterans Shelter where his case manager referred him to Arizona Housing, Inc. With the help of his case manager, Larry moved into AHI’s Horace Steele Commons Apartments. Through the supportive services offered at Horace Steele Commons, Larry was able to stop drinking and connect with the VA Hospital for other health needs He realized that Horace Steele Commons was a welcoming community and he became actively engaged with neighbors and involved in activities. As he became healthy again, he re-established contact with his family, including his mother. Larry now serves on the Block Watch group at Horace Steele Commons and has become an artist who creates beautiful jewelry for the other residents. He manages to get by on his Social Security benefits and provides some money to his family on a regular basis even though his children are now adults. Larry takes pride in this and believes he is simply making up for the time he was struggling on the streets. Larry prides himself on being a man of his word, is respected by his fellow residents and Horace Steele Commons is a better place because of him. "Larry is an 85 year old Arizona native and an honorably discharged Navy veteran. After his military service he spent his life working in various jobs, was married three times and fathered 7 children."